Open Thread Tuesdays: User or Collector? Larry Derrenberger, of Elkhart, Ind. (my home state!). This image was part of an article about the annual American Pencil Collectors Society convention at Minnesota State University in 2006. Full article and photo credit here. 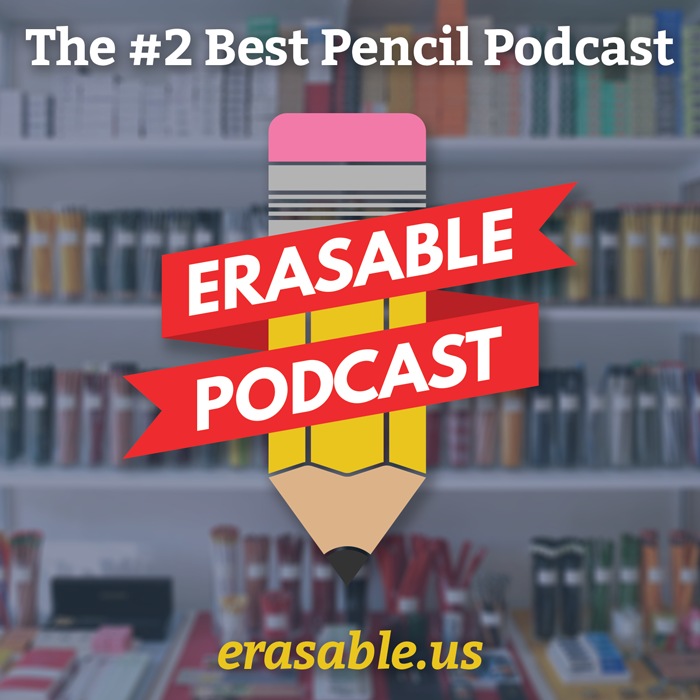 TOPIC: My interest in pencils started with using and reviewing pencils, new ones that were available in the consumer market. I still love them. However, I also delight in finding old, vintage pencils and those with advertising or slogans on the barrel. There seems to often be a schism between pencil “users”, and pencil “collectors“. Where do you find yourself, or are you a citizen of both worlds like me? Why? I understand the collectors’ obsession but I can’t be a collector – I’m not so consistent and methodical. I buy pencils on a whim – to use them or just to look at them or because they mean something real or imaginary to me. Understandable. I agree with you — what good is a collection if you can’t interact with it and see what it is you have? Of course, my “collecting” pencils mostly include souvenir an advertising pencils, which most likely performs fairly average or poorly, depending on the quality of the pencil stock they used. The fine quality pencils I can’t keep away from trying out, so that’s why they’re usually in my “use” stock. Where those two collide with me, and what causes me the most conflict, is what I should do with the vintage “fine-quality” pencils I have, like an OLD Eberhard-Faber Microtomic, or an ancient Venus Velvet that I want to see how it works after all these years. Usually, I break down and write a couple sentences with the vintage pencils I get that are already sharpened, but I haven’t been able to bring myself to use an unsharpened pencil yet.